I will post here my inkscape creations that I have finished. If you see something that could be better, feel free to point it out. This one is sponee of pokemon uranium. Looks nice and clean. Is this a recreation of a reference image or an original drawing? 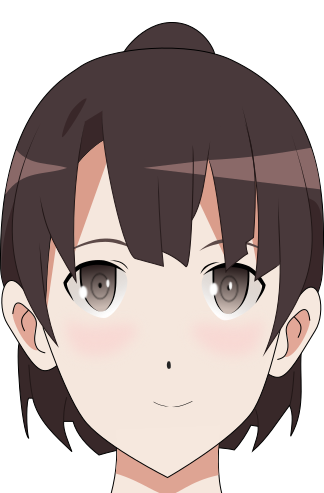 It's Megumi Kato of the anime Saenai Heroine no Sodatekata. A friend asked me to draw her (I didn't see this anime). I just googled some images of her and watched a little bit of the anime. I used that for reference.